Food is an integral part of festivities regardless of culture or religion. In India special celebration foods are made to mark special occasions. With the festive season now around the corner, restaurants are bombarding customers with choice of eating options. It is that time in the calendar when every house is lit up with lamps and laughter and everyone seems to be in high spirit. The festival of ‘Diwali’ binds the entire nation in resplendent celebrations. Shopping, fireworks, exchange of gifts and a variety of gastronomical delights are all sign of the Diwali fever. Khandani Rajdhani, the flagship brand of Mirah Hospitality brings 'Apple Jalebi' for its customer this festive season. Mad Over Donuts, the Singaporean donut brand goes local by introducing 'Boondi Bomb' this lightening season. Pebbles, the multi cuisine fine dining restaurant in Mumbai is introducing 'Bali Cusine from Island of God' to celebrate the festive fever. 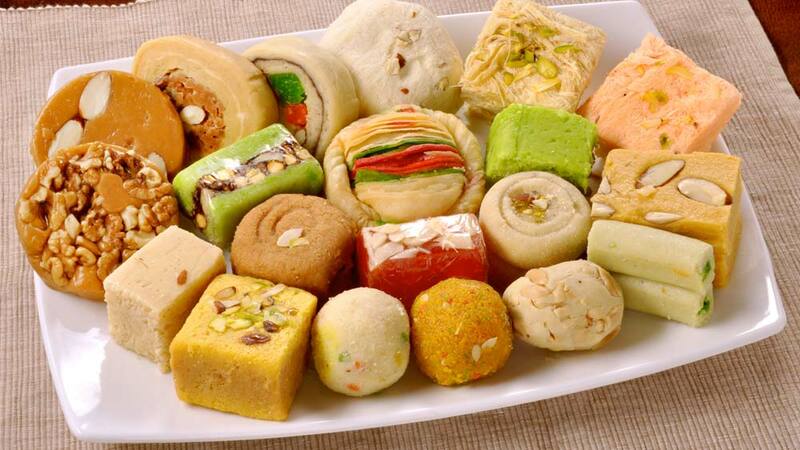 Khajur Barfi is one such dessert which is adding festive delight to the Khandani Rajdhani menu this October. Mad Over Donut, the Singaporean donut chain has associated with one of the most eagerly anticipated Bollywood entertainers of 2014 – Happy New Year introducing 'India waale donut'. With all these, the restaurants in the country are all set to celebrate the grand festival which is on 23rd of October offering a wide variant of food delicacies.